Christ Church Lutheran, Minneapolis | ride. travel. live. So everyone is familiar in some way with Eero Saarinen, as his structures are ingrained into the American built environment. His Gateway Arch became the instant symbol of St. Louis upon its completion in the 1960s, and chances are that you have changed planes at Dulles Airport or JFK Airport. designed two religious structures during his US-based career, two similar, radical designs for modern churches. 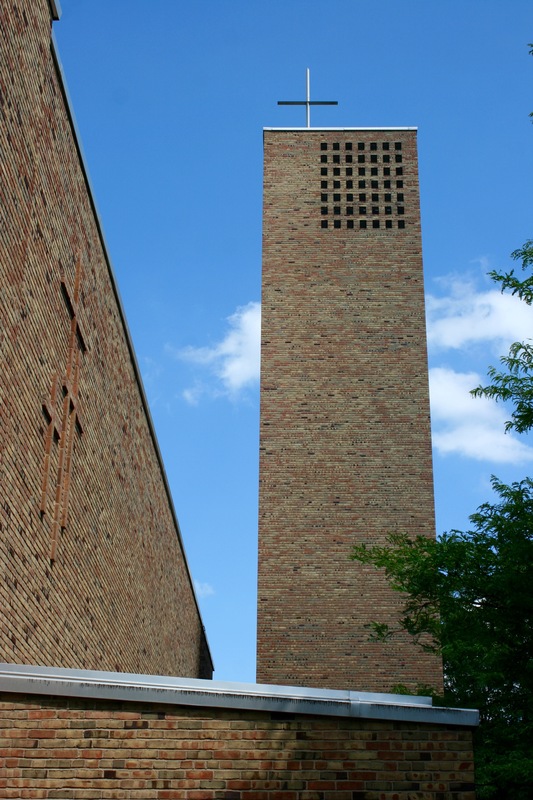 One is in Columbus, Indiana, completed in 1942, and the other is Christ Church Lutheran in Minneapolis, Minnesota. 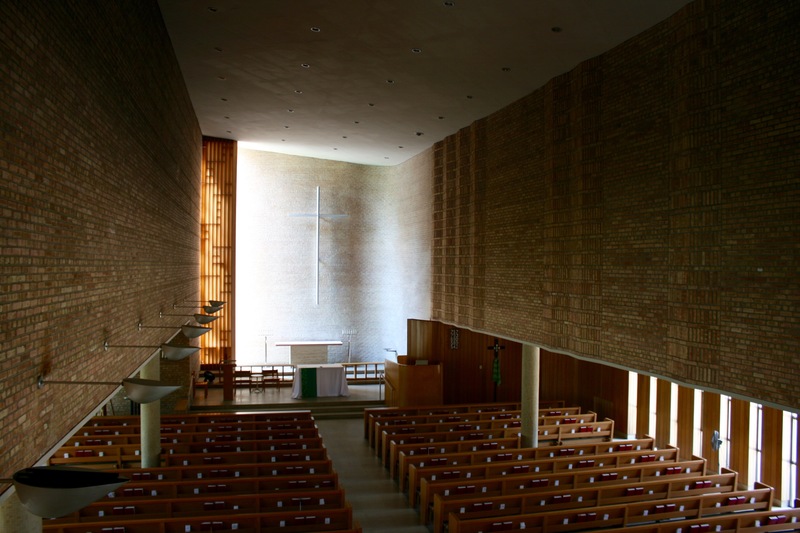 Christ Church Lutheran was Eliel Saarinen’s last structure, completed in 1949, he died in 1950. The exterior is of a simple geometry, with little in the way of decoration. A few sparse sculptural elements adorn the main facade, with some relief elements such as a cross on the side. The interior is a real treasure, with a narrow vertical window providing the illumination for the altar. Composed of white brick, the altar glows. While the exterior is a simple box, the interior adds a few elements of subtle, but noticeable asymmetry. 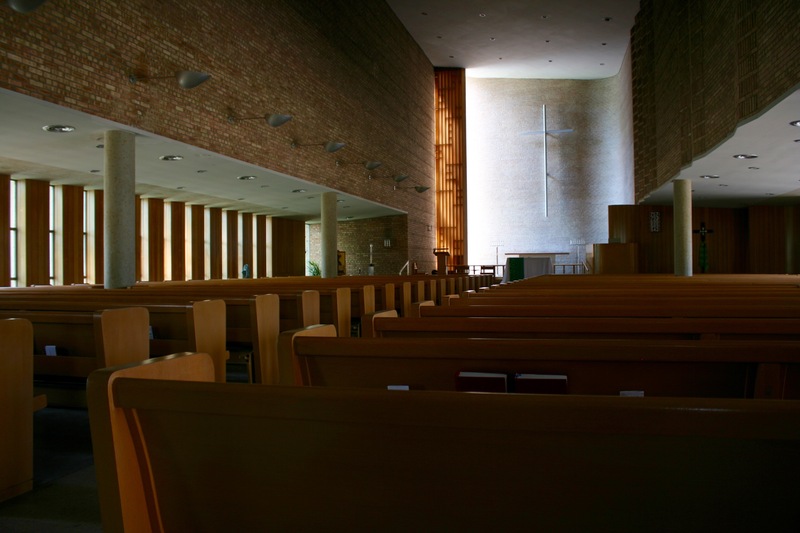 The roof line is slightly slanted, the wall of the altar curves, and there is extra seating under a low ceiling. The brick walls wave in and out upon close inspection. Light comes in from side windows. In short, there is plenty of visual interest inside, but it requires close inspection to really appreciate the design elements. The overall effect is one of calmness. 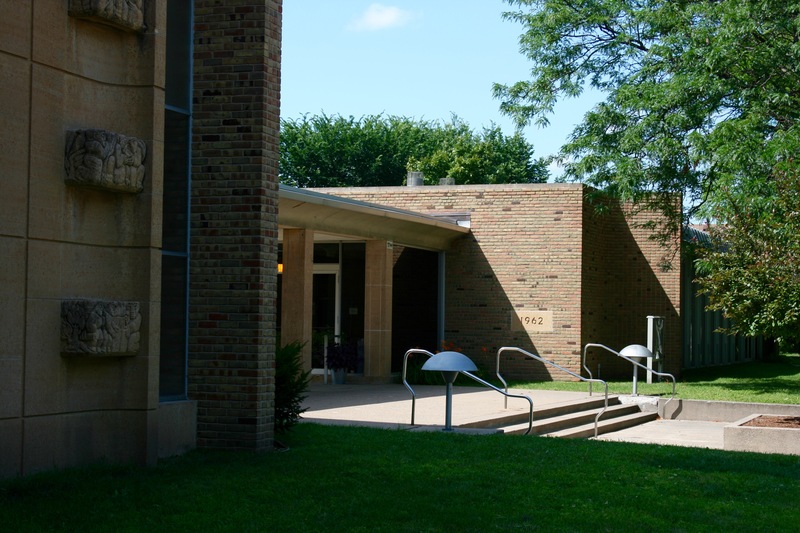 Eero Saarinen, in one of his last works before his untimely death in 1961, designed the extension, which defers to his father’s design elements, and created a low-key, functional structure. The two buildings are linked through interior hallways and underground passages, creating a courtyard with a fountain in the center. This fountain led to leakage into the basement, necessitating an ongoing restoration effort. Right now, the courtyard is a mess with plenty of construction (as of May 2017), but the finished product ought to be similar to how the structure looked before.